Barcelona attracts millions of visitors every year, and it has some amazing places that you can visit. However, there is so much more to see than just the obvious attractions. Barcelona is buzzing with restaurants, bars and a few places you might not have heard about much before. For the aspiring traveler or blogger, your readers will love the idea of seeing these alternatives that are not as busy with the usual tourists. When you are on the beach in Barcelona, one thing you can almost always count on is heat. However, there is a place where you might want to wrap up a little. Located on the beach at Port Olympic, you can drink vodka from a frozen glass, take a look at the beautiful ice sculptures and cool off after a hot day sightseeing. You won’t be riding a steel donkey as such, it is actually another name for a bicycle, but the tour part is correct. 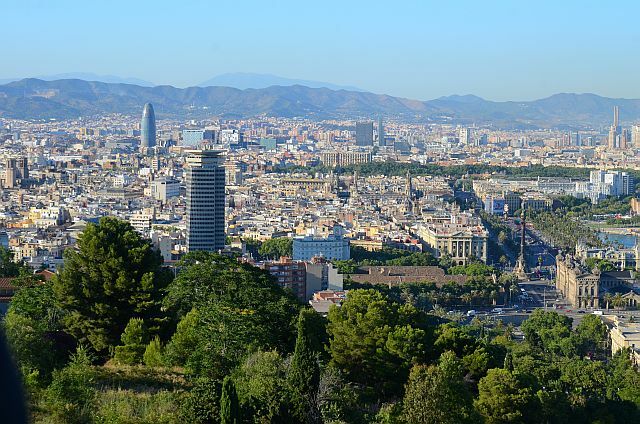 These tours are not your typical Barcelona trips they take in many of the back streets in El Borne, the village district of Gracia and the old ruins or Poblenou. Along the way, you are treated to flea markets, squat houses and recycled workshops. There are plenty of photo opportunities for you to share, you can create a poster of your favorites and post it on social media. It is a big hit with those looking to see other parts of the city, and it is a fun-filled day out in its own right. One thing that anyone who goes to Spain will want to try is their world-famous Cava. However, with this experience, you can do more than taste it, you can try your hand at creating your own. Take a trip by train to a 1,000-year-old farmhouse in the Penedes wine region in Spain. You can try a variety of wines and then get the chance to bottle your own and apply your custom-made label. There are a few such places as this in Spain so even if you cannot leave the city, you can still have the same experience. If you like solving puzzles and have a few friends with you, why not try one of the many companies that have escape rooms in the city. They have many scenarios to choose from, and along the way, you will be required to crack codes and find missing keys. Although this isn’t uniquely Barcelona, it is good fun, and it will pass a nice afternoon. If you are fed up trying to get around the city on, then the Barcelona e-bikes might just be what you need. They are bikes that have a battery powered motor attached; it gives you enough power to ride up and down the hills easily. It also lets you get around the city without having to sit in traffic or on a hot coach. These are just a few of the many things you can do in Barcelona without having to visit the main tourist attractions or go too far outside the city. The Steel Donkey Tour sounds like a fun way to see the city. hii boss...its verry gud site for learning. i also make a little blog on health..